The Jeep Grand Cherokee isn't usually what people think of when you say "green car," but the new diesel version that's coming for 2014 moves it somewhat closer to that category. Unveiled first thing Monday morning, the 2014 Jeep Grand Cherokee EcoDiesel is part of an updated 2014 lineup for the very successful crossover utility vehicle. Its turbodiesel engine, the first diesel fitted to any Jeep in five years, is already fitted to Grand Cherokees sold in Europe. 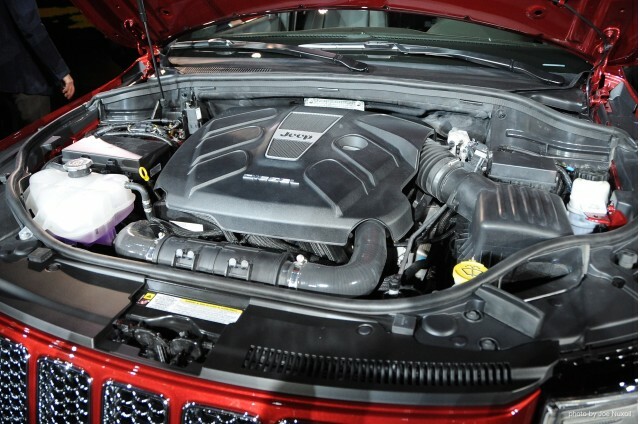 Complying with tougher U.S. emissions rules took Jeep a little longer, but the 240-horsepower 3.0-liter V-6 turbodiesel is rated at a substantial 420 lb-ft of torque in this country. The company predicts the rear-wheel drive version of the diesel Grand Cherokee will be rated at 21 mpg city and 28 mpg highway. We suspect that'll produce a combined rating around 24 or 25 mpg. 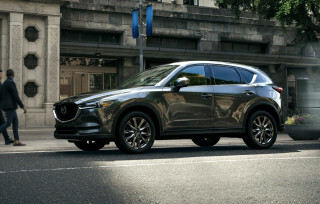 If you add the popular all-wheel drive option, those numbers fall to 20 mpg city, 28 mpg highway--which we'd peg at 22 or 23 mpg combined. Remember, however, that many modern diesel cars overachieve their EPA ratings--a lucky trend highlighted by owners of the Volkswagen Jetta TDI several years ago. In any case, we'll be watching to see what the sales of the Grand Cherokee EcoDiesel look like. One Chrysler executive, speaking on condition of anonymity, said he thinks it'll be more than 5 percent of the total, possibly 10 or 15 percent. Given that about half of Audi's expensive Q7 luxury sport-utility uvehicle are sold with a diesel--and Volkswagen sells 28 percent of its Passat mid-size sedan with the high-mileage TDI diesel option--we wonder if Chrysler is being conservative. Time will tell. 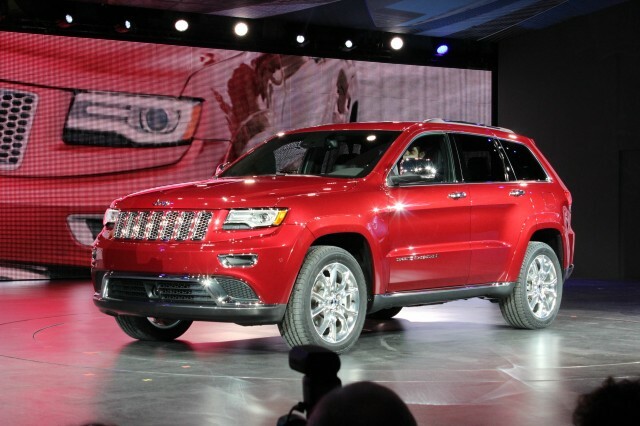 Meanwhile, enjoy these photos of the 2014 Jeep Grand Cherokee from the floor of the 2013 Detroit Auto Show.